Damona Doyle, who holds the Rainbot Chair in Agricultural Finance at Oklahoma State University, has been given the added duties of associate vice president and director of the Oklahoma Cooperative Extension Service. She will be the first women to lead the extension service. She has been serving as the farm management specialist for the extension service. Professor Doyle holds bachelor’s and master’s degrees in agricultural economics from Oklahoma State University and a Ph.D. in agricultural economics from Iowa State University. P. Karen Murphy was named a Distinguished Professor in the College of Education at Pennsylvania State University. Dr. Murphy joined the faculty at Penn State in 2002 and was promoted to full professor in 2008. Professor Murphy holds a bachelor’s degree in animal science and a master’s degree in agricultural education from Texas A&M University. She earned a Ph.D. in human development from the University of Maryland. Catherine M. Robinson was appointed chief of sports medicine at the University of California, San Diego Health system. Dr. Robinson is the team physician for the San Diego Padres baseball team. She joined the university’s health system in 2009. Dr. Robinson earned her medical degree and competed her residency in orthopedic surgery at the University of California, San Diego. 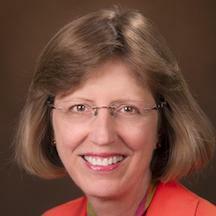 Susan Scholz, a professor in the School of Business at the University of Kansas, has been given the added duties as associate dean of undergraduate programs. She joined the faculty at the university in 2013. Professor Scholz is a graduate of the University of Utah, where she majored in accounting. She holds a Ph.D. in business administration from the University of Southern California in Los Angeles. Maria Navarro, a professor in the department of agricultural leadership, education, and communication at the University of Georgia, was named associate director of the Honors Program for the College of Agricultural and Environmental Science. Professor Navarro is a graduate of the Universitat Politecnica de Catalunya in Spain. She earned a Ph.D. in agricultural education from Texas A&M University. Amy Kind, the Russell K. Pitzer Professor of Philosophy at Claremont McKenna College, was given the added duties of director of the Gould Center for Humanistic Studies at the college. Professor Kind joined the faculty at Claremont McKenna College in 1997. She served as chair of the philosophy department from 2009 to 2012. A graduate of Amherst College in Massachusetts, Dr. Kind earned a master’s degree and a Ph.D. in philosophy from the University of California, Los Angeles. Mary Ruppert Stroescu was hired as an associate professor of art in the Sam Fox School of Design and Visual Arts at Washington University in St. Louis. She was an associate professor of apparel design and textile science at Oklahoma State University. Dr. Stroescu is a graduate of Southern Illinois University, Carbondale. She holds a master’s degree and a Ph.D. in human environmental sciences from the University of Missouri. Mary Leveille, who has served as an assistant professor at the University of Rhode Island from 2000 to 2014, was named associate dean of the College of Nursing. From 2014 to 2017, she was chief nursing officer at Butler Hospital in Providence. Dr. Leveille is a graduate of Rhode Island College. She holds a master’s degree and a Ph.D. in nursing from the University of Rhode Island.